Feeding families around the world and around the corner. The organization’s approach to achieving its goal – the eradication of world hunger – includes the packaging of a highly nutritious, vitamin-fortified soy-rice casserole by volunteers at numerous locations within the USA and Canada; and the distribution of those meals to starving children and their families in 70 countries through partnerships with humanitarian organizations worldwide. Fulfilling Kids Against Hunger’s mission requires a vast food packaging capacity to meet an endless demand for food. Kids Against Hunger believes that the best way to engage the largest number of people is through a decentralized, locally-based network of food packaging satellites that are active in their community. This model engages and empowers people to realize they can make a difference in solving the worldwide problem of starvation and establishes relationships with organizations such as Kiwanis, Rotary, and many faith-based groups of widely varying denominations. This growth strategy also allows the organization to continuously expand its food packaging capacity and volunteer involvement. Since its launch, Kids Against Hunger has provided over 2 billion meals for children and their families in 70 countries through the efforts of hundreds of thousands of volunteers. Freedom Foods seeks to continue adding to that total with its mission of feeding families around the world and around the corner. The United Nations Food and Agriculture Organization estimates that about 821 million people of the 7.3 billion people in the world, or one in nine, were suffering from undernourishment in 2017. Every 6 seconds a child dies (nearly 16,000 every day) because of hunger and related causes. 15.3 million children under 18 in the United States live in households where they are unable to consistently access enough nutritious food necessary for a healthy life. We provide fully nutritious food to impoverished children and families around the world…and around the corner. In 1974, Proudfit went to Honduras as a volunteer following a devastating hurricane that hit the country. 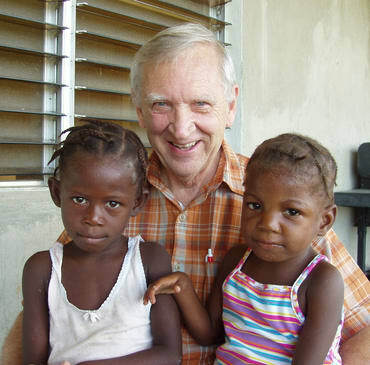 Profoundly affected by the starvation he saw among the children of that country, he made a conscious decision to commit his life and financial resources towards the enormous problem of world hunger. Utilizing his knowledge in manufacturing and distribution, Mr. Proudfit tapped his colleagues in the corporate world for help. He enlisted the resources of leading food scientists to develop a highly nutritious meal – rich in protein and fortified with vitamins and minerals – that, when boiled with water, provides nourishment for starving children. His tireless relationship building resulted in a world-wide network of organizations that can successfully distribute the food under the worst conditions. Proudfit is now retired from leadership of KAH, but his commitment to end world hunger remains the goal of Kids Against Hunger today.